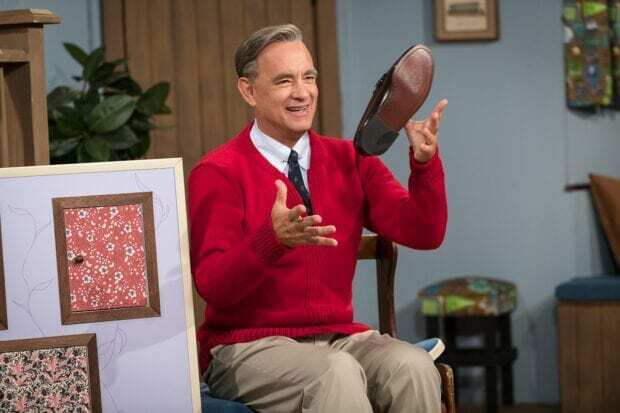 New images from the set of A Beautiful Day at the neighborhood show Tom Hanks in all his Mister Rogers glory and I can't get enough! This shot alone stops me in my tracks while I recall all the times I saw Mister Rogers toss his shoe into his other hand while he was getting ready. Dare I say that Tom Hanks as Mister Rogers is perfection…I do! Won't you be my neighbor? 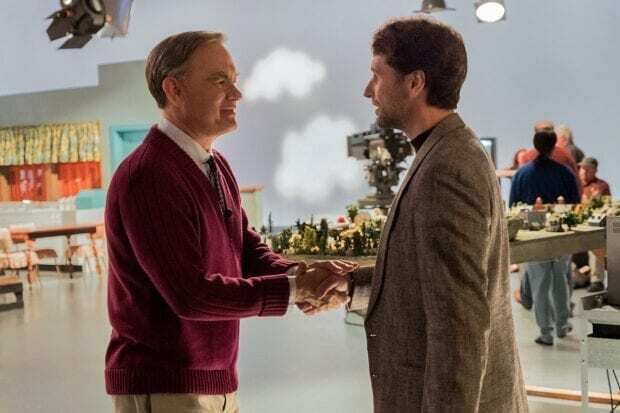 Mister Rogers (Tom Hanks) meets journalist Tom Junod (Matthew Rhys) in TriStar Pictures' A BEAUTIFUL DAY IN THE NEIGHBORHOOD. A Beautiful Day in the Neighborhood is set to come out in theaters November 22, 2019.